With a few weeks now passed from the original post, the plan then was to head down to Murray Field and do some circuit practice. The usual challenge that I’m finding of late is that there were no instructors available to come and do the practice. 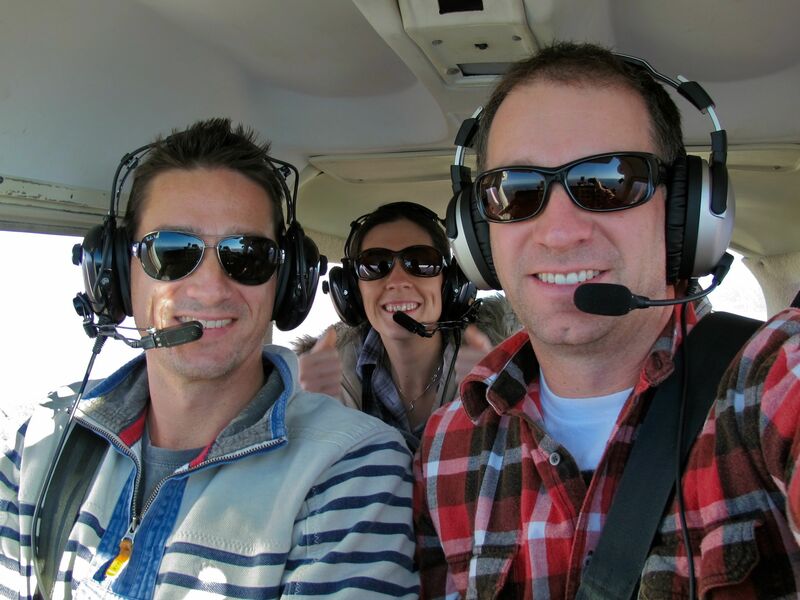 So instead, I took Jane and Adam out for a fun flight around the training area. Adam was over visiting from the UK and it was the first time in about 8 years that he has stepped inside a small plane. As a big boy pilot these days, his usual ride is a 767 which he flies around Europe and across the Atlantic. To make it a little more fun, BigKev agreed (kicking and screaming, yeah right) to come flying too. The plan, to fly around the training area and basically enjoy the morning. Meeting BigKev out on the tarmac, SJT was behaving badly and the call was that they’d be packing up. As we departed downwind, I heard SJT getting a clear for take-off front he tower. So they were coming after all, problem resolved apparently. When out at Serpentine, we finally got the call they had us visual and were slowly pulling us in. Minutes later they pulled to our right then left. Tracking down towards Mandurah we enjoyed a small show to our rear, before SJT pulled off and up with an awesome display of her underbelly. We continued our track down over Mandurah and then up along the coast. BigKev and Trav left us and did a boat yard arrival, while we headed to Forrestdale Lake. However, those pesky non-controlled procedures still needed to be done. This weekend just gone, Tommy took me out and we did some non-controlled procedure practice. We headed out from Jandakot towards Serpentine airfield. We arrived overhead and sussed out the correct runway. Having reviewed the ERSA entry we descended and joined the circuit. My radio calls were a bit on the “non optimised” variety, but Tommy said they had everything that was needed. After a go-around there, we headed to the next non-controlled airfield nearby. The track was to Murray Field, some 10 minutes further south near Mandurah. Same again, we arrived overhead and then descended to join the circuit there. This time, the runway selected didn’t have the typical left hand circuit. When using certain runways at Murray Field, there is a requirement for a right hand circuit. We obeyed and did a missed approach there. After this, we departed Murray Field and headed back to Serpentine. This time we decided on a different runway and joined accordingly. Again, a missed approach and then it was back to Jandakot. 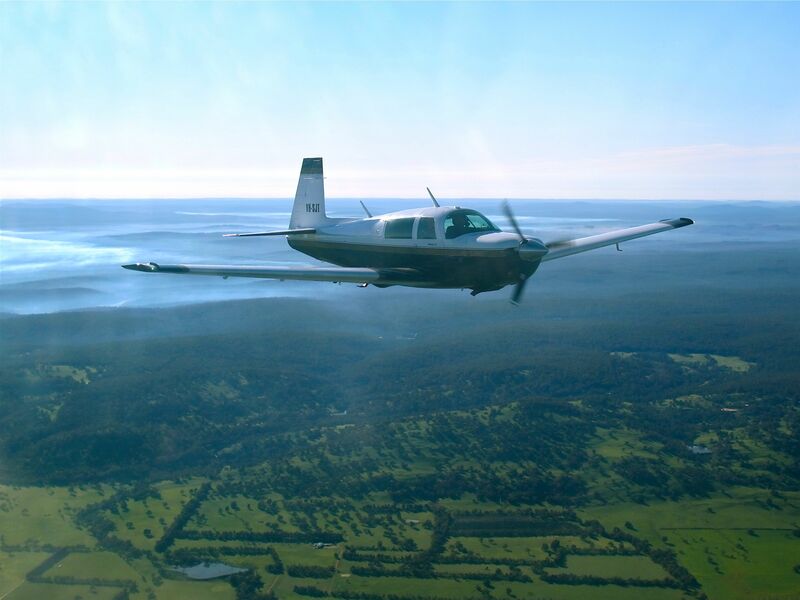 This entry was posted in Circuits, Formation, Jandakot, Pilot License and tagged aircraft, C172, Cessna, CTAF, Jandakot, Murrary Field, non-controlled procedures, Perth, Plane, Serpentine Airfield, VH-BEZ, VH-SJT, Western Australia. Bookmark the permalink. What a lovely aircraft that Moonery is! Now why would you possible thing that :p Did you catch the formation pics in the “flickr” link on the right side of the blog. SJT features in a few of those shots too.